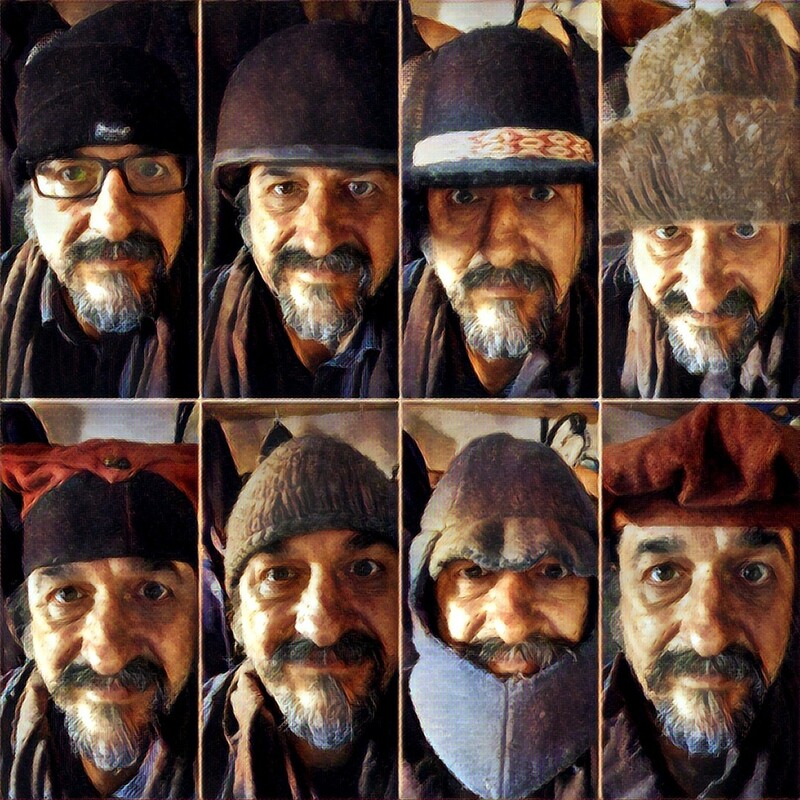 So, I found all the different items of head gear I seem to own and took pictures of myself wearing them – whilst selfies may seem a little narcissistic it saves time trying to persuade another member of the family to be my model. Standing near a window gives some natural light and using the coat rack gives a backdrop – with a little more thought I may have organised things a bit better, but I was in a hurry. 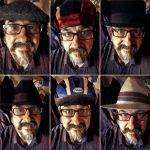 Put hat on, pose, take picture, change hat, pose, take picture, etc. I then opened up the Layout App put the pictures in the required order (there was a bit of jiggling to get the hats in a logical order). There were too many pictures to include in one Layout, so I made two. They looked OK but needed something else. Along comes the Prisma App – I applied the Hunter filter. I then shared to Instagram – it made a change from usual shots of food and alcohol. Added relevant hashtags and sat back to wait for the Likes (well thats what you do with Instagram isn’t it?) – at the time of writing this, it is 5 on one and 6 on the other. Different hashtags attract different viewers. As you can see I’m still working on building up my following. To be honest pictures of Gin attract more likes. I understand why.